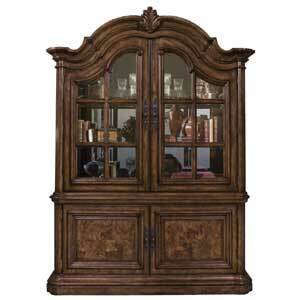 Dixie Furniture features the best selection of China Cabinets & Side Pieces in Charleston, North Charleston, Summerville, James Island, West Ashley, Moncks Corner, Wadamalaw, Mount Pleasant, Awendaw, McClellanville, Johns Island, Goose Creek, Ravanel, Adams Run, Ladson, Meggett, Hollywood, Younges Island, Jacksonboro, Walterboro, Huger,Cainhoy, Daniel Island, Williams, Lodge, Branchville, Cottageville, Ehrhardt, Green Pond, Grover, Islandton, Round O, Ruffin, Smoaks, Yemassee, Hampton, Charleston county, Berkeley county, Dorchester county, Colleton county. We're able to show many more products in our online catalog than in our physical showroom, so please contact us for availability information. 662300 China Base 1 68" 23" 32"
662301 China Deck 1 70" 24" 62"